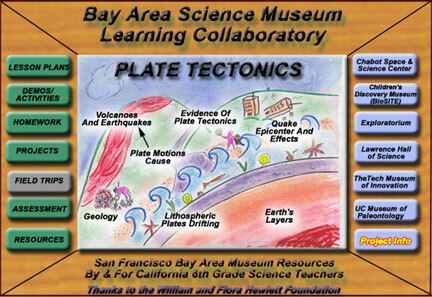 ©2003 - 2008 by DesignWorlds for Learning, Inc.
Middle school science teachers in California have push-button access to over a billion dollars worth of web learning resources offered by local science/technology museums. But which of the thousands of buttons should 6th grade science teachers push when they need a lesson plan on plate tectonics? Which buttons lead to the best genetics projects for 7th graders? Where do you find astronomy-related activities that fire the imaginations of 8th graders? Searching through the museums’ wealth of information is fascinatingif you have the time. Few middle school teachers have the time to click through even a fraction of the available web pages. So a billion dollars worth of educational resources goes largely unused by the people who could use it most. Meanwhile, California middle and high school students rank near the bottom of the national rankings in science achievement. To make this system work, someone has to identify the right resources. DesignWorlds for Learning proposes to have a team of exemplary science teachers choose the best museum and web resourceslesson plans, hands-on activities, homework resources, student projects and other material that the teachers themselves find most useful. The expert teachers will draw from a variety of local science museums and select specific standards-based learning content. 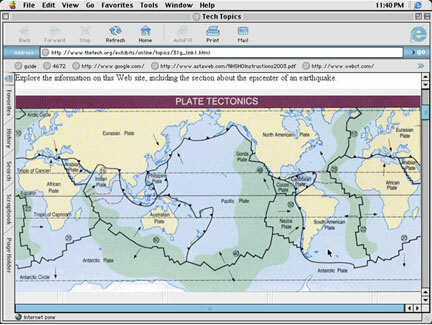 Learning-technology expertsscientists and science educatorsand web developers can then collaborate with the science teachers to develop web pages like the ones shown here. Every button connects to the two current best choices selected by expert science teachers. And these pages are not just for teachers. Students, parents, mentors and others can use these links to find trustworthy resources. 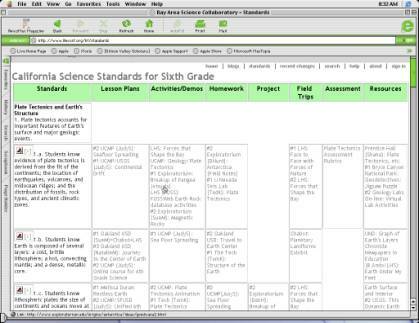 Ready access to these resources makes it much more likely that teachers can help their students exceed the learning goals of state and national science content standards. The Collaboratory provides a direct way to influence measurable academic achievement in science. Bay Area middle school science teachers get just what they need, just when they need it. Parents and tutors get information they can trust. Students get the best available science education. Museums get feedback that helps them refine their resources to suit educational needs. The Bay Area gets a better opportunity to bring science education up to the top ranks nationally, where it should be. Bay Area Science Education Collaboratory: California Sixth Grade Standards Matrix and Museum/Web Resource Database: http://www.nexist.org/hf/Standards/ © 2003 - 2008 by DesignWorlds for Learning, Inc.
DesignWorlds for Learning, in collaboration with Rockman, et cetera (a 501(c)-3 non-profit corporation) has implemented some of the Collaboratory steps described here with the help of the William and Flora Hewlett Foundation and the S. D. Bechtel, Jr. Foundation, whose generous support has enabled the initial development and testing of the Bay Area Science Education Collaboratory sixth grade prototype. The progress we have made so far hints at the Collaboratory’s remarkable potential. Teachers are using our initial web pages and telling other teachers about them. With modest resources, we can deliver the bounty of learning resources of Bay Area and other California science-technology & youth museums, zoos, and aquariums exactly where it can do the most good. Much remains to be done. We have the opportunity to inspire a new generation with the astonishments of science. We invite you to help us help us achieve this goal. 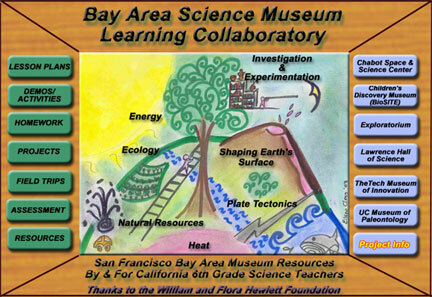 The Bay Area Science Education Collaboratory was conceived in 2001-2002 by Dr. Ted Kahn and John (Jack) Gottsman of DesignWorlds for Learning, Inc. and Saul Rockman, CEO of Rockman, et al and President of Rockman, et cetera. Following an initial exploratory needs assessment project, funding for the initial design and prototyping of the Collaboratory was provided by a grant to Rockman, et cetera and DesignWorlds from the William and Flora Hewlett Foundation in 2002-2003. This was one of the earliest grants from the Hewlett Foundation for a collaborative, teacher co-designed open education science teaching and learning resource. Since 2003, the Hewlett Foundation has been the major private foundation promoting the growth of what has become its international "Open Educational Resources (OER)" funding program in education. From 2003- 2007, the major funding support for the continued development of the Collaboratory has come from multiple grants from the S. D. Bechtel, Jr. Foundation. 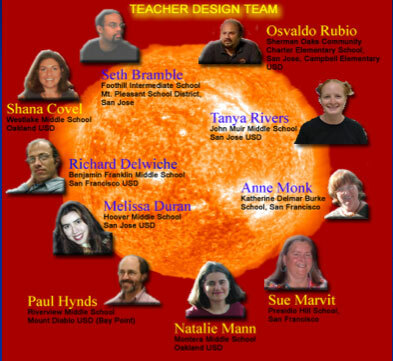 The Collaboratory's initial design in 2002-03 was a collaborative partnership with 10 Bay Area 6th grade (science) teachers. 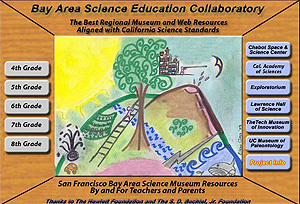 Thanks to the active participation of over 160 Bay Area science teachers, Foothill faculty, museum educators, curriculum specialists, principals, consultants and parents, the Collaboratory has since grown to aggregate over 1,000 exemplary free web-based science teaching and learning resources for grades 4-8, all aligned with California Science Content Standards. 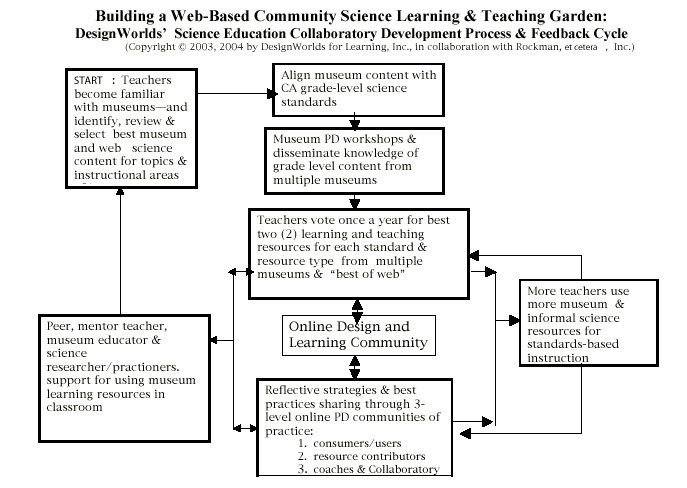 We have now validated the model of rhe Collaboratory as one that can scale, as well as be easily adpatable to any community that has teachers seeking free or low-cost exemplary science teaching and learning resources from informal science learning institutions/projects, such as museums, zoos, aquariums, nature preserves, government and private research centers and other web-based resources. At this time, when there continues to be a disturbingly low lever of student achievement in science here in California, many K-8 teachers still lacking formal academic degrees or backgrounds in science and engineering, and a substantial drop in the number of students going on to major and receive degrees in science. math and engineering in college, the Collaboratory provides a dynamic and free resource for both teacher professional development and for parents seeking out alternative, but well credentialed science learning resources for their children to complement or augment science learning in schools. Ted M. Kahn (2007), "Science Learning Collaboratories: Helping to Bridge the Gap Between Museums' Informal Learning Resources and Science Education in K-12 Schools"
Our special thanks and appreciation to: The William and Flora Hewlett Foundation and the S. D. Bechtel, Jr. Foundation; AcrossWorld Communications; Saul Rockman (Rockman, et cetera); Alan Bernard, Bill Daul, Eileen Clegg, Jack Gottsman, Bob Kahn, Dr. Loretta Kelley, Jack Park, and Dr. Sherman Rosenfeld; Barbara Glynn, Bob Peterson, and Bob Grimm; Jerry Kay (ScienceInterchange.org and Earth News Radio/ENN.com); the members of our Educational Advisory Board; the six participating Bay Area science-technology and children’s museums, and the 10 dedicated Bay Area science teachers who are have been our design partners and first users. Dr. Ted Kahn, CEO of DesignWorlds for Learning, Inc., spoke at the Museums and the Web 2007, April 13, 2007, presenting DesignWorlds Web-based Museum Learning Collaboratories entitled "Science Learning Collaboratories: Helping Bridge the Gap Between Museums' Informal Learning Resources and Science Education in K-12 Schools." DesignWorlds and A Schmahl Science Workshop have been awarded another grant from the S. D. Bechtel, Jr. Foundation to complete the design of the Bay Area Science Education Collaboratory for grades 7-8. 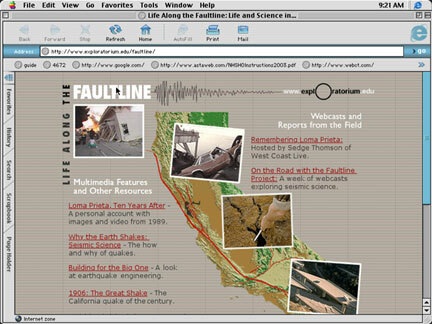 Science Interchange and Web audio archives of three short "Earth News Radio" broadcasts about the Collaboratory and related science education resources (May, 2003). April 13, 2007, presenting DesignWorlds Web-based Museum Learning Collaboratories entitled "Science Learning Collaboratories: Helping Bridge the Gap Between Museums' Informal Learning Resources and Science Education in K-12 Schools." Krause Center for Innovation, Foothill College, Los Altos Hills, which has supported and provided the online professional courses taught by Collaboratory founding director, Dr. Ted Kahn, about the use and development of the Collaboratory for over 160 Bay Area science teachers, Foothill faculty, parents, and museum educators. Dr. Ted M. Kahn, Founder and Project Director and CEO, DesignWorlds for Learning, Inc.
Bill Daul, NextNow Collaboratory; original web designer for Collaboratory's initial grant from the Hewlett Foundation. Dr. Loretta Kelley, Collaboratory project evaluator (2002-2005); education program evaluator and researcher. Dr. Valerie Landau, Round World Media: Web & multimedia design and visual interface expert and consultant. Linda Ullah, School Development Coach, New Technology Foundation; cosultant to DesignWorlds; first Teacher-in-Residence at the Krause Center for Innovation, Foothill College and now with Napa New Tech. Dr. Mattanjah de Vries, Professor of Chemistry & Biochemistry, de Vries Group, University of California at Santa Barbara (UCSB). Krishen Laetsch; Program Officer, East Bay Community Foundation; former project co-director of NSF-funded LITES Project (Leadership Institute in Teaching Elementary Science) at Mills College which was the inspiration and model for the Bay Area Science Education Collaboratory. Bonnie Marks, Executive Director, California Technology Assistance Project (CTAP), Region 4 (Bay Area). Steve Mayer, advisor, DesignWorlds for Learning; board member and/or technology advisor, Chabot Space & Science Center, Aquarium of the Pacific (Long Beach), San Francisco Museum of Modern Art; Silicon Valley high technology pioneer in videogames, consumer electronics, and Emmy-award winning co-developer of digital video special effects, desktop editing and post-production systems; Co-founder of Atari, Inc.; designer of first home cartridge video game system; co-designer of Atari personal computers and coin-operated games hardware; founding Chairman of Digital F/X, Inc.
Dr. Ida Oberman, former Program Associate at the Hewlett Foundation, Director of Research & Evaluation of the Springboard Schools (formerly Bay Area Schools Reform Collaborative); "godmother" of the Collaboratory. Saul Rockman, CEO, Rockman, et al. and President, Rockman, et cetera. Internationally-known educator, researcher and program evaluator, specializing in digital media technologies and telecommunications in education. Original non-profit partner and evaluation consultant on the Collaboratory. Belinda Lowe-Schmahl, CEO, A Schmahl Science Workshop; provider of hand-on science learning and teacher professional development for schools, districts, and mentor for independent student science research projects. Judy Scotchmoor, Assistant Director, U.C. Museum of Paleontology; former middle school science teaacher; co-director of multiple NSF-funded informal science education and science curriculum projects. Dr. Jim Spohrer, Director of Almaden Services Research, IBM Almaden Research Center; former Distinguished Scientist at Apple and founder of the Educational Object Economy. Dr. Herb Thier, Former Associate Director of the Lawrence Hall of Science and project (co)-director of many NSF-funded inquiry-based sK-12 science curriculum projects; author and consultant. Our special thanks and appreciation to Dr. Mike (Marshall) Smith, Education Program Director, Dr. Jorge Ruiz de Velasco (now at the Stanford Institute for Research on Education Policy & Practice), and Dr. Ida Oberman (now at the Springboard Schools), all of whom supported the initial development of the Collaboratory via the The William and Flora Hewlett Foundation; Susan Harvey and Laurie Bechtel-Dachs at the S. D. Bechtel, Jr. Foundation; Saul Rockman (Rockman, et cetera); Barbara Glynn and Bob Grimm (both longtime supporters of The Tech Museum); Gay Krause, Executive Director, and Linda Ullah, former Teacher-in-Residence at the Krause Center for Innovation at Foothill College; Jerry Kay, Environmental News Network; Dr. Bill Erlendson and the San Jose Unified Education Foundation; Belinda Lowe-Schmahl and Meril Smith, A Schmahl Science Workshop; and all the teachers and principals who participated and contributed to this growing educational resource.